First, this isn't a sponsored post. Second, I admit this isn't exactly the coolest thing to review but look at it as public service, I don't want you wasting your money on the wrong appliance :) And with my recent fixation with juicing, quite timely. I purchased this blender via Lazada a couple of months ago for around P900. I wasn't expecting much from it since my previous blender, which I paid more than P3,000 for totally disappointed me. The only reason why I got this was because I had some old credits and I needed something to blend my bananas for when I make green smoothies. 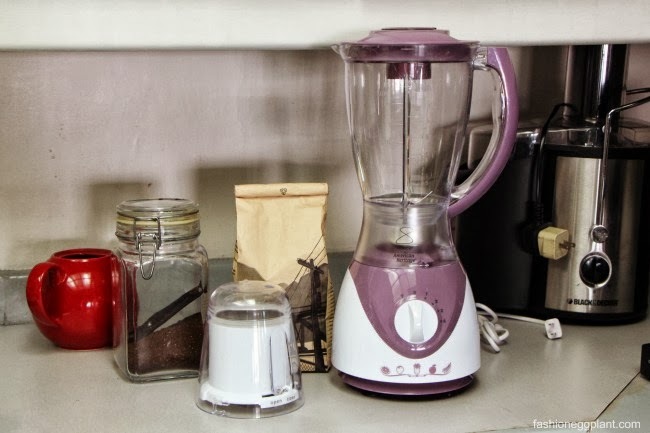 I wasn't really in love with the color (I wanted stainless) but it was the only decent looking blender with a plasic pitcher (non-negotiable for a clumsy household like mine) available. The grinder that came free with it was just a bonus that I didn't expect to work. So it arrived and as I said, no expectations at all so I was definitely surprised at how well it worked. I blend everything in it, hard veggies, fruits, ice, no problem, no leaks. The pitcher also glides easily into its base unlike my old blender which was so difficult to twist in and out of. It doesn't overheat and so far, has worked with everything I have tried putting in it. The free grinder attachment that came with it is also a dream! 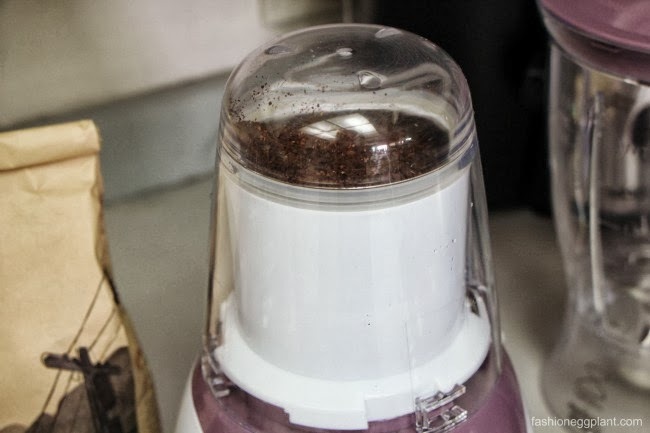 IMHO, it works even better than the grinder they use at the grocery where I get my coffee beans. Theirs overheat and I sometimes have to wait a long time to get my ground coffee because they need to make it cool down and rest. 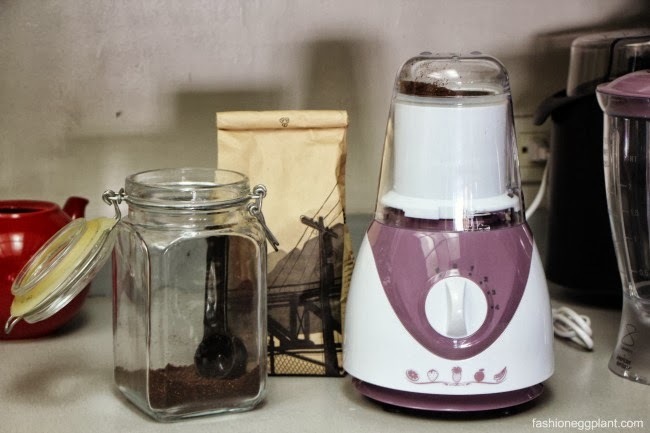 Mine just keeps going and I love it, I can have freshly ground coffee every morning because clean up is also virtually hassle-free. Also, since I got it, I have also used it to chop nuts and chocolate with no problem at all.